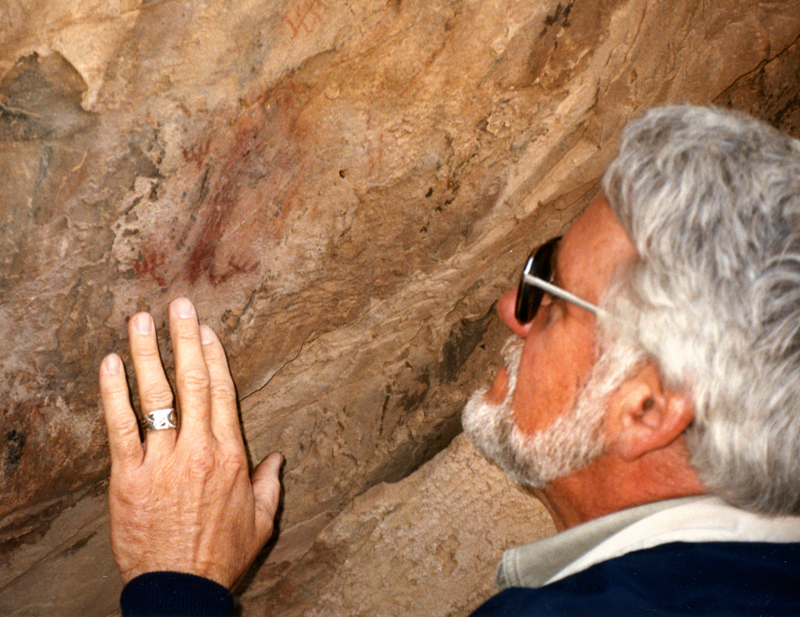 To get a sense of scale, Paul Higgins, an environmental educator and Santa Clarita city parks commissioner, examines a painting of a lizard at Vasquez Rocks. It's the same lizard seen in this photograph, shot at the same time. LW9556: 19200 dpi jpeg from 4x6 print made from film shot by Leon Worden in December 1995.